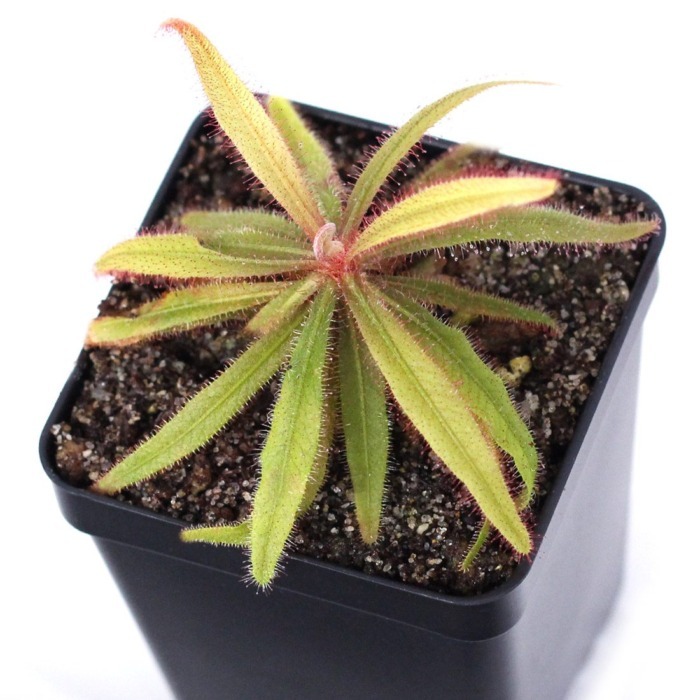 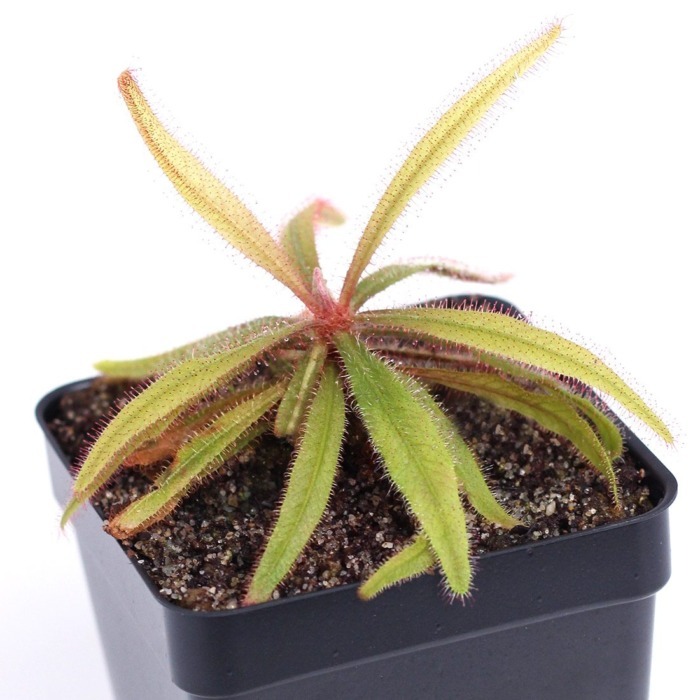 Drosera adelae, also known as the Lance-Leaf Sundew, is generally an easy sundew to grow for beginners but can be finicky if proper conditions aren’t met. 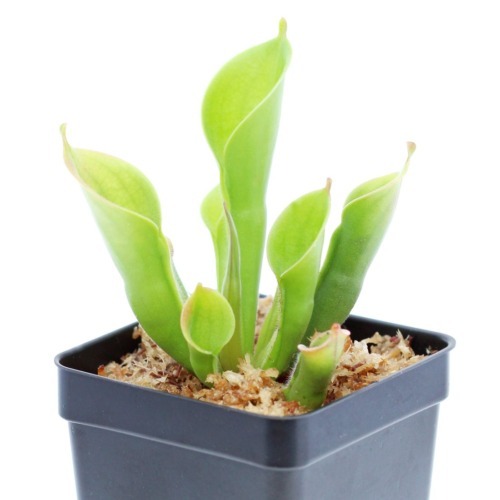 It reproduces quickly via plantlets that sprout from roots exposed to light. 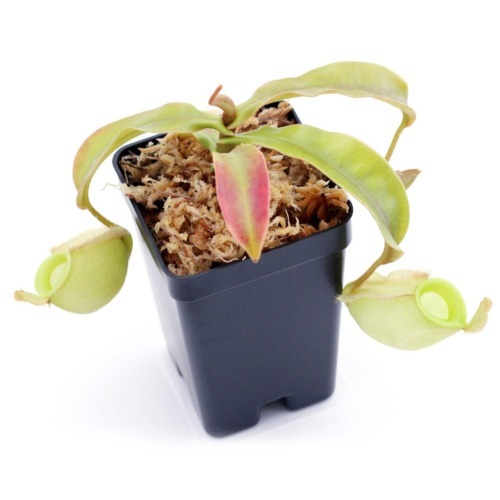 Leaves often turn red if given high intensity light. 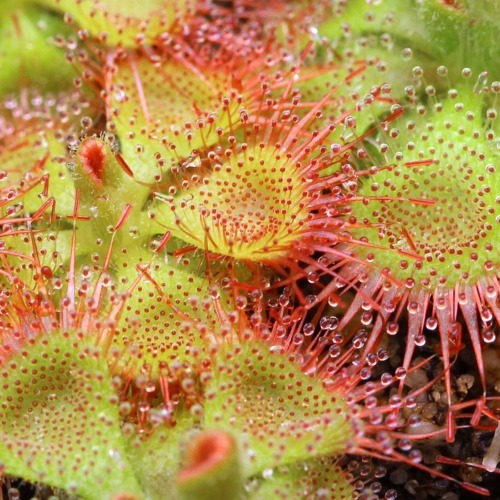 The leaves are covered with tentacles (trichomes) that secrete a sticky “dew” to attract and catch prey. 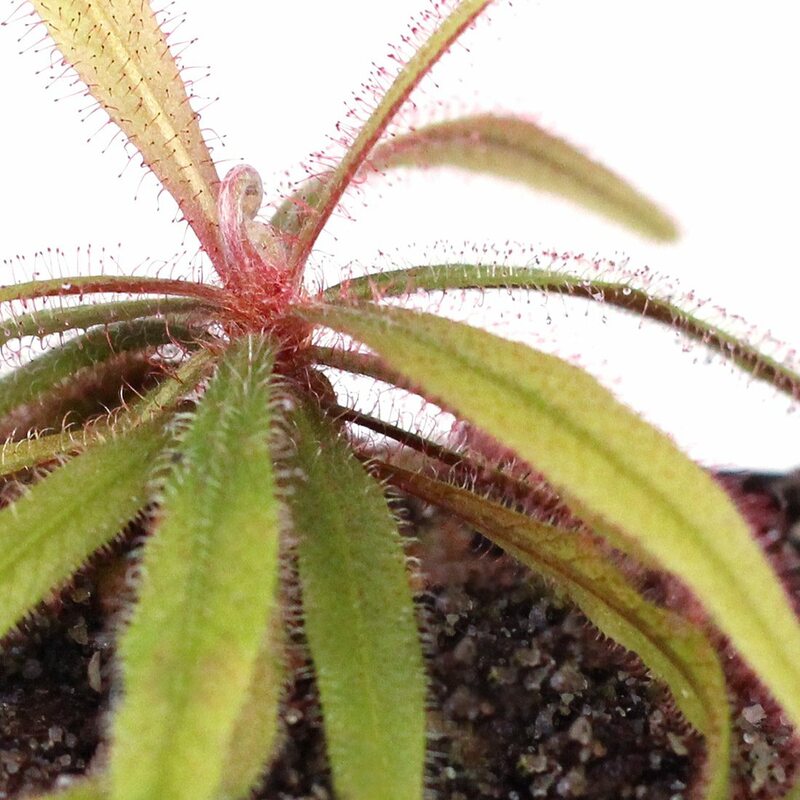 Leaf movement is usually minimal but tentacles tend to curl around prey in about 30 minutes.